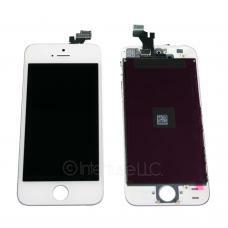 A new aftermarket replacement touch screen digitizer and LCD assembly compatible for the iPhone 5. Use to replace a broken or cracked screen. This item should be installed by an experienced professional and does not include replacement instructions. Dimensions 4.75" x 2.25" x 0.125"